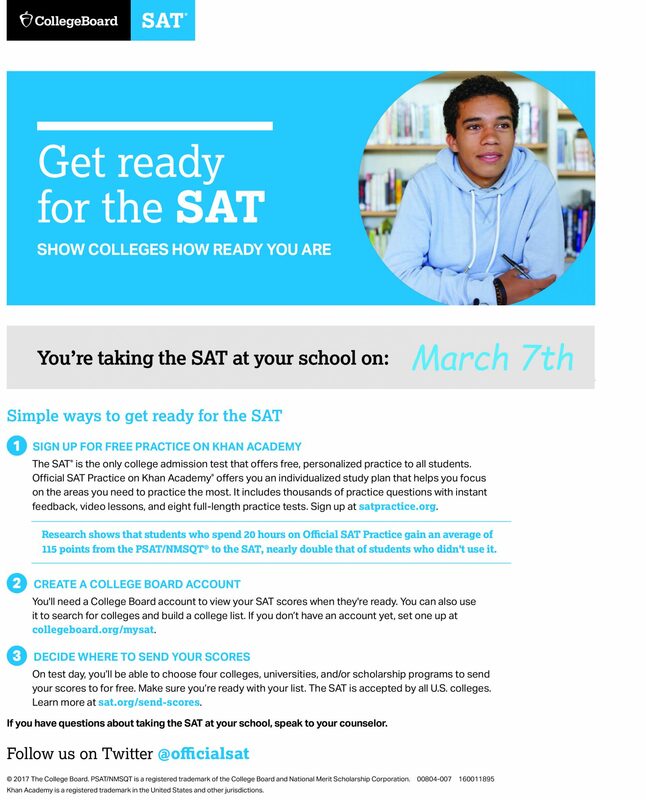 This flyer tells students how to get ready for the SAT in three simple steps. Students are encouraged to practice with Khan Academy, create an online account, and decide where to send their scores. 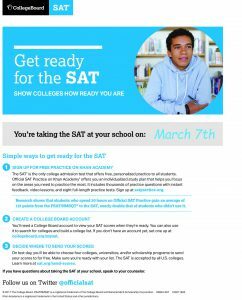 Eleventh-graders attending a Dallas ISD high school have about a month before they will take the Scholastic Aptitude Test (SAT) during the school day on Wednesday, March 7. To prepare for the exam, students may access free, personalized lessons at satpractice.org. 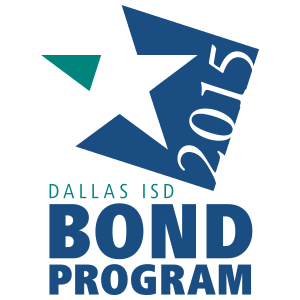 Dallas ISD’s investment in PSAT administrations affords students the ability to link their PSAT scores to Khan Academy and access Official SAT® Practice as early as eighth grade. A study from the class of 2017 showed that students who spent 6 hours on Official SAT® Practice gained an average of 90 points from the PSAT/NMSQT to the SAT and students who spent 20 hours practicing gained an average of 115 points. For a high school student, this point gain can be the difference between getting denied or admitted to a top-choice college, or being eligible for a merit-based scholarship.